A few weeks ago, Zach and I visited San Diego, California for our summer vacation. We had planned our trip around Fourth of July because we love fireworks and dressing up in red, white and blue everything. San Diego has one of the largest Independence Day firework shows in the country, Big Bay Boom, which we were excited to see! 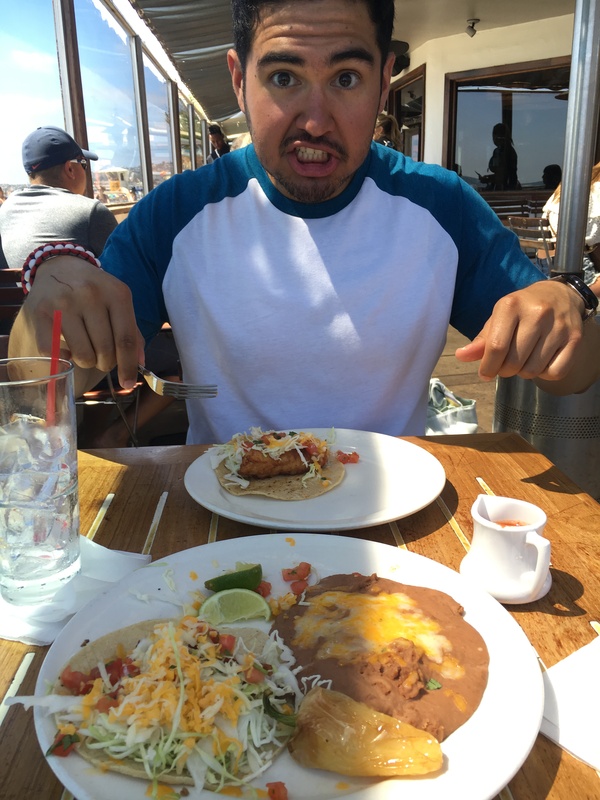 We were also ready to try some great food, especially fish tacos, while we were in town. We do not eat corn and grains on a regular basis, but vacation is a treat for us. 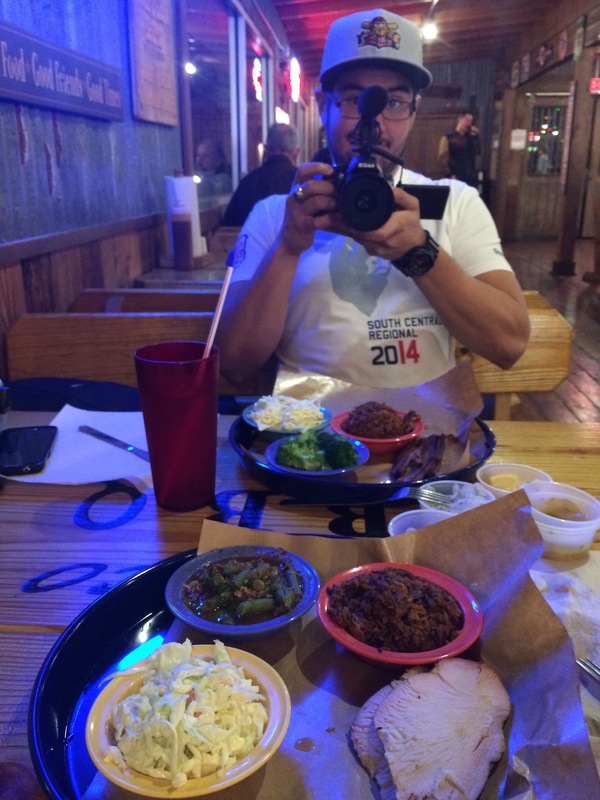 We still don’t go crazy (at this point, our bellies couldn’t handle a week full of grains and starchy food), but we make sure to try some of the food we haven’t had in some time. I don’t know about you, but I think vacation and food go hand in hand. I think you get a better idea of the culture and people of a city by trying local food and seeing the differences and similarities from the food you have at home. When I am on vacation, I want to get to know the city as best I can in the short amount of time I spend there. 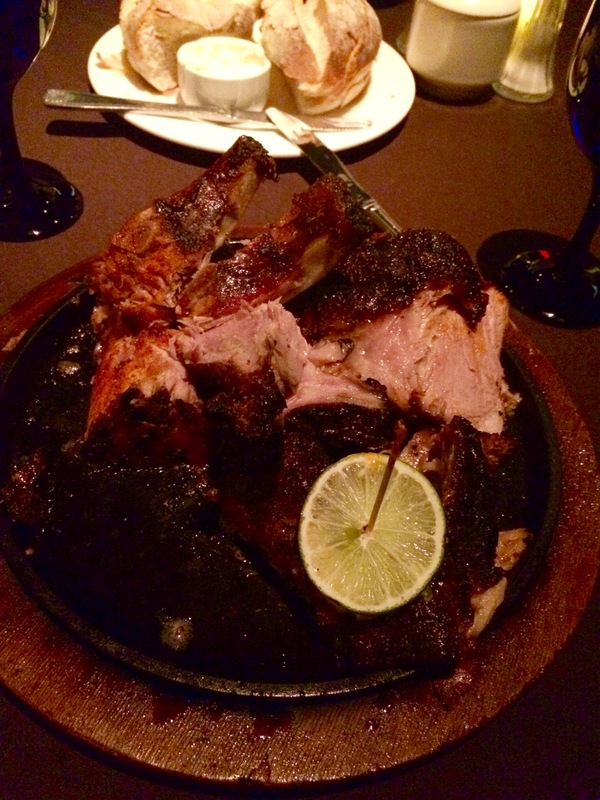 We used Yelp to find places that others had enjoyed and we tried to go by recommendations from friends as well. Some places that people suggested had wait times that were insane. I love trying great food, but I also don’t want to waste my vacation waiting in line. 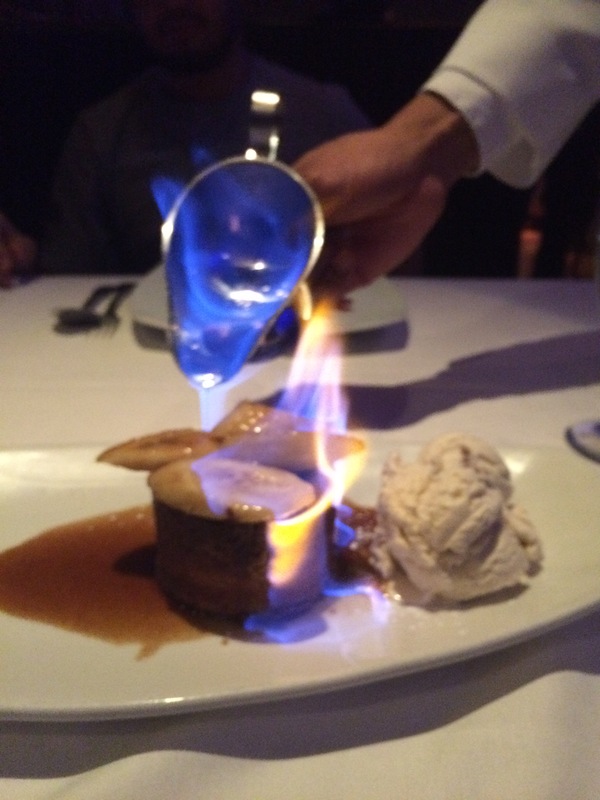 We picked places we thought we would enjoy and I can honestly say we loved the majority of the restaurants we tried. Below you will find a list of where we ate on our trip. If you plan on going to San Diego anytime soon, I hope this helps you out a bit. 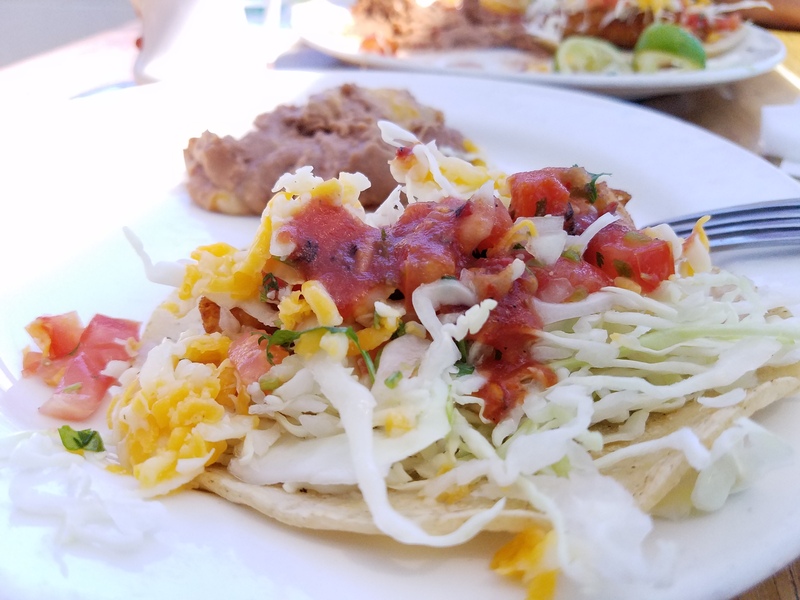 If you aren’t planning on traveling to San Diego, you should, but I still hope you enjoy reading a bit more about our trip there. 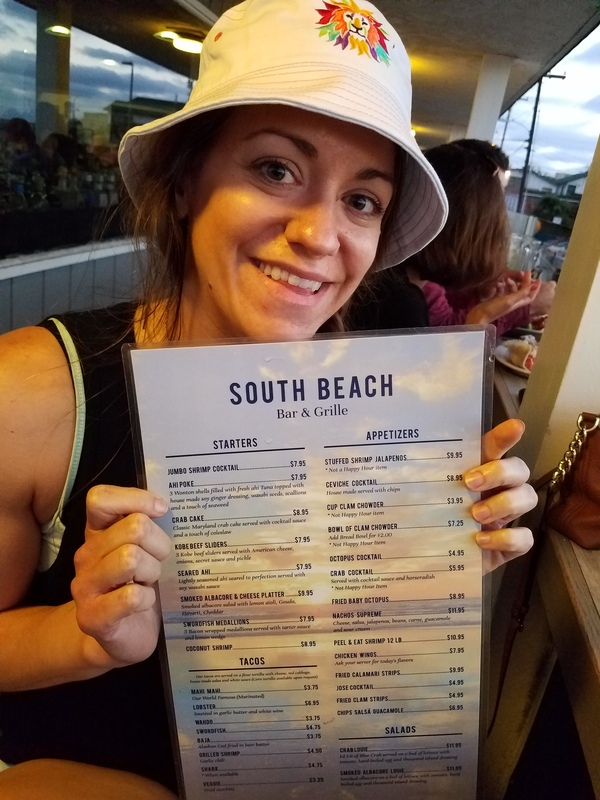 South Beach Bar & Grille – Our favorite of the fish tacos we tried! Go on Taco Tuesday. They have $2.75 tacos all day (excluding the lobster). It is a large, two story building that with a second story patio. 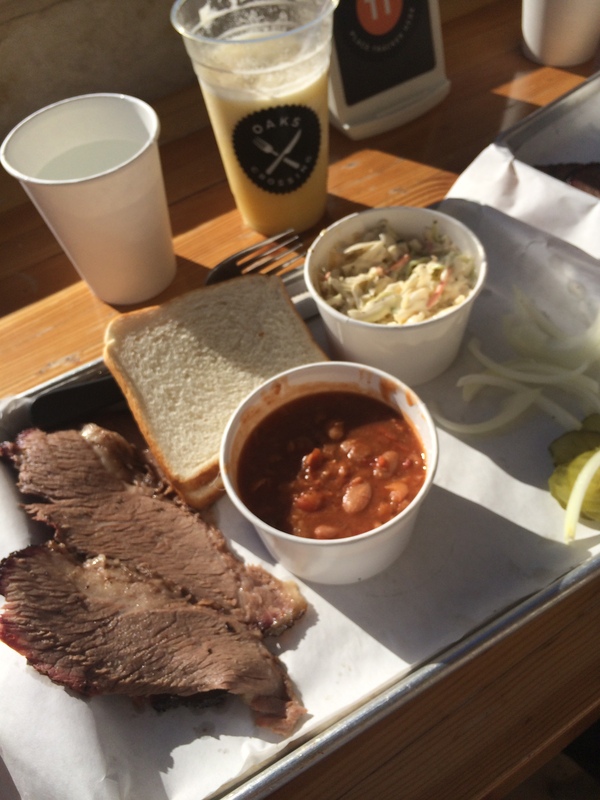 It has the laid back feel of bar, but definitely isn’t serving everyday bar food. We each had four tacos and loved every bite (don’t judge us, we spent over ten hours walking around the San Diego Zoo before this dinner and probably could have ate more). Also, we had a great view of the ocean and quick service. Seriously, go here! The menu! Between the two of us, we tried one of each taco except for the lobster. Oh, and I am wearing a San Diego Zoo bucket hat…don’t judge. 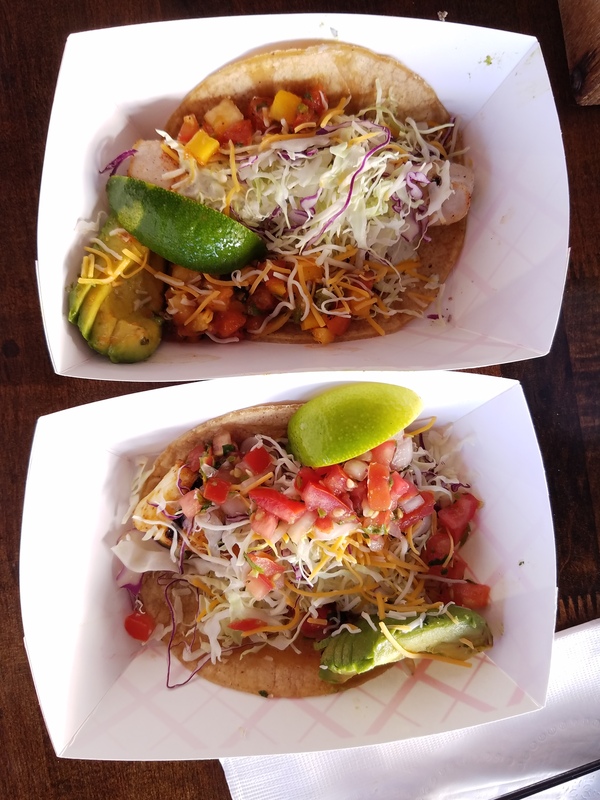 Pacific Beach Fish Shop – This was a more hip, slightly more expensive fish taco place but it didn’t disappoint. It was pretty small and super packed, but you order when you walk in and we thankfully found a place to sit quickly. I loved the atmosphere here. It was bright, modern and relaxed. 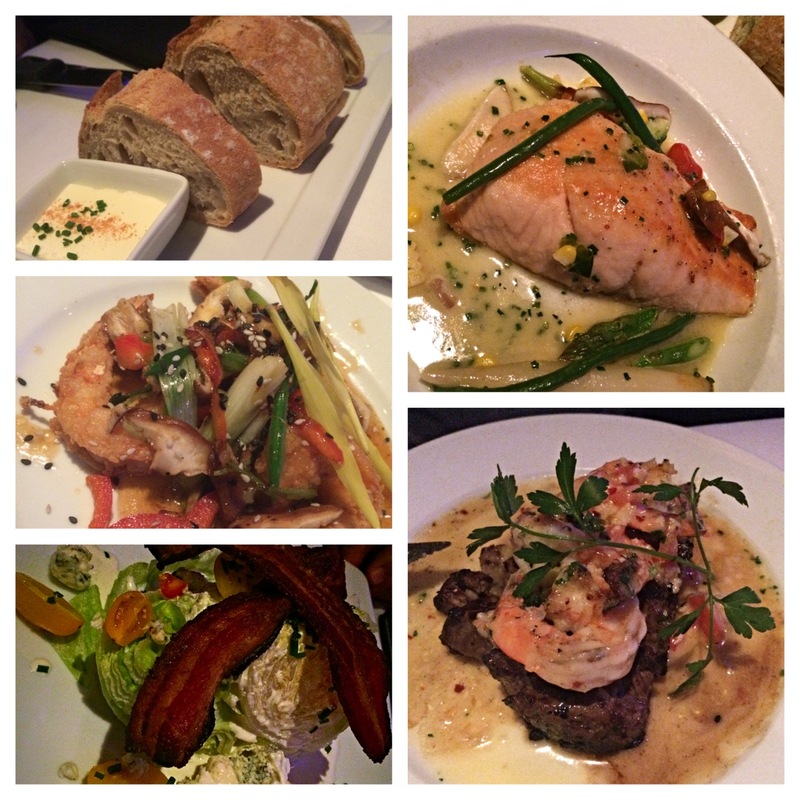 The food was terrific and we enjoyed that you can customize to your liking (you pick your fish, marinade and style). 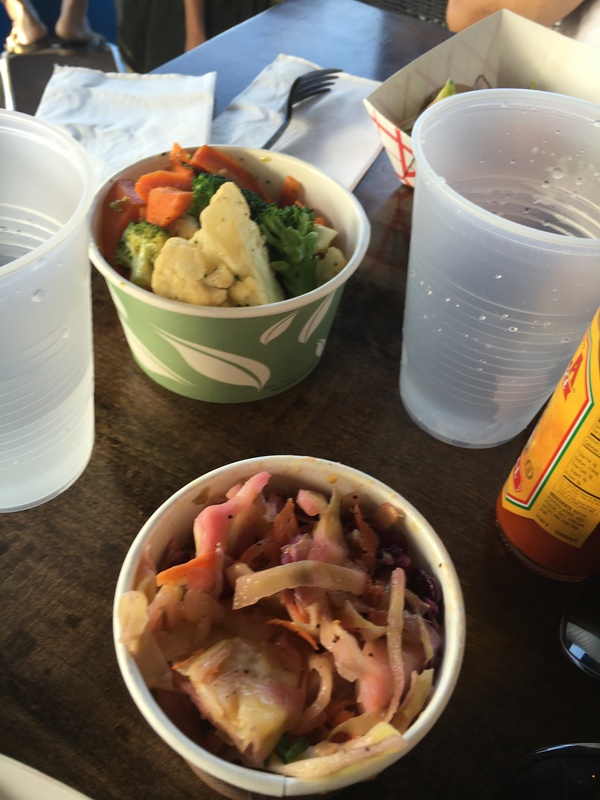 They had plenty of options for sides, including veggies and coleslaw! 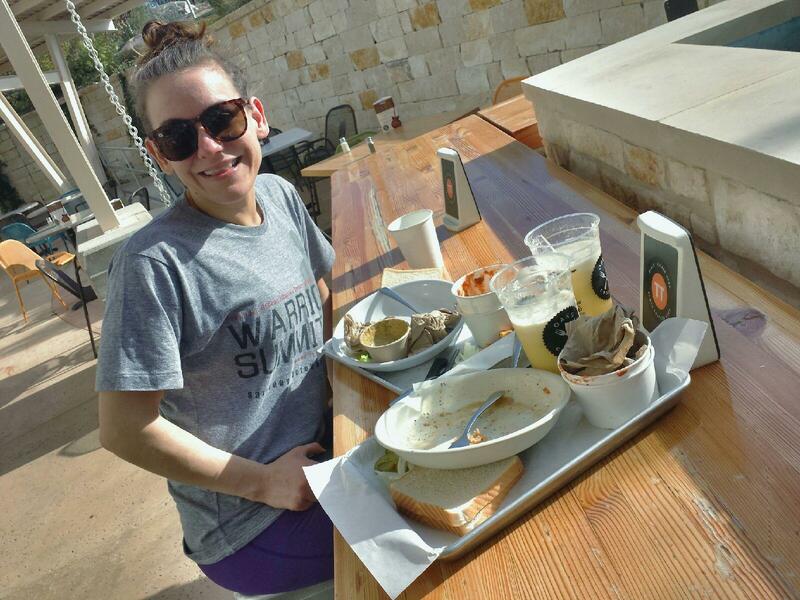 World Famous – We split a fish taco plate here because it was more of a second lunch or snack. We were trying to fit in as many restaurants as we could on our last day. Thankfully we went at an off time, before the dinner rush, because apparently they were completely booked for the evening. It wasn’t my favorite of the fish tacos we tried, but I still enjoyed it and the restaurant is right on the boardwalk in Pacific Beach so I understand the popularity. Getting ready for more food!! We got the basic fish taco plate here. Fried fish and lots of toppings. 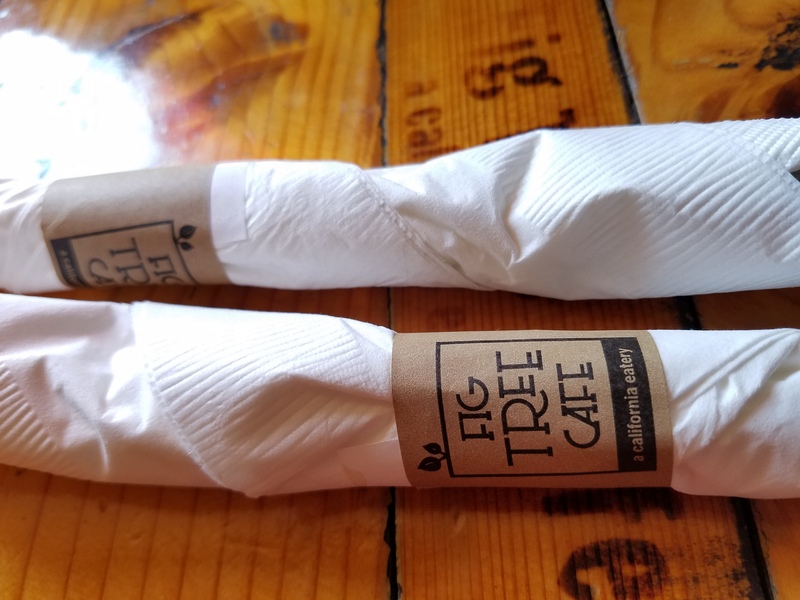 Fig Tree Café (Hillcrest location)– We ate breakfast at our rental most days to save time and money, but we wanted to try at least one breakfast spot. 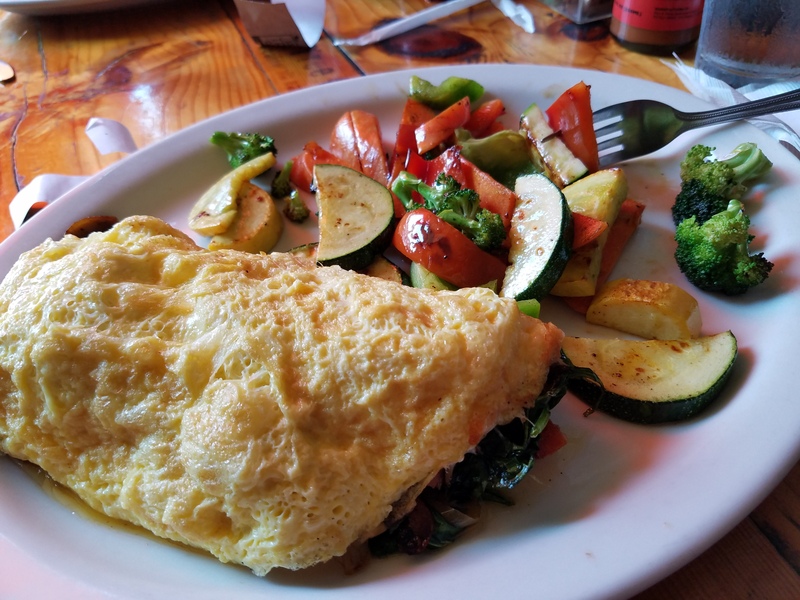 The omelets at Fig Tree were awesome and full of meat and veggies. We were pleased that they happily substituted the side of potatoes for veggies. It is always nice when restaurants cater to those with diets outside the norm and don’t make a big deal about substitutions. Who doesn’t love a great omelet for breakfast? I like their logo. Simple and pretty, like the food and the restaurant! Jungle Java (at the San Diego Zoo) – If you are at the San Diego Zoo, this is the first coffee shop near the front entrance. Believe me, you will need the coffee to get through the entire zoo in a day (and really comfortable shoes). Kona Coffee Co – I honestly assumed this was a big chain that must not be in places I had traveled. After an extensive Google search for this post, I think they are a local coffee shop that did a terrific job with their menu and logo. Nonetheless, we loved the iced coffee here and should have gone back for more. 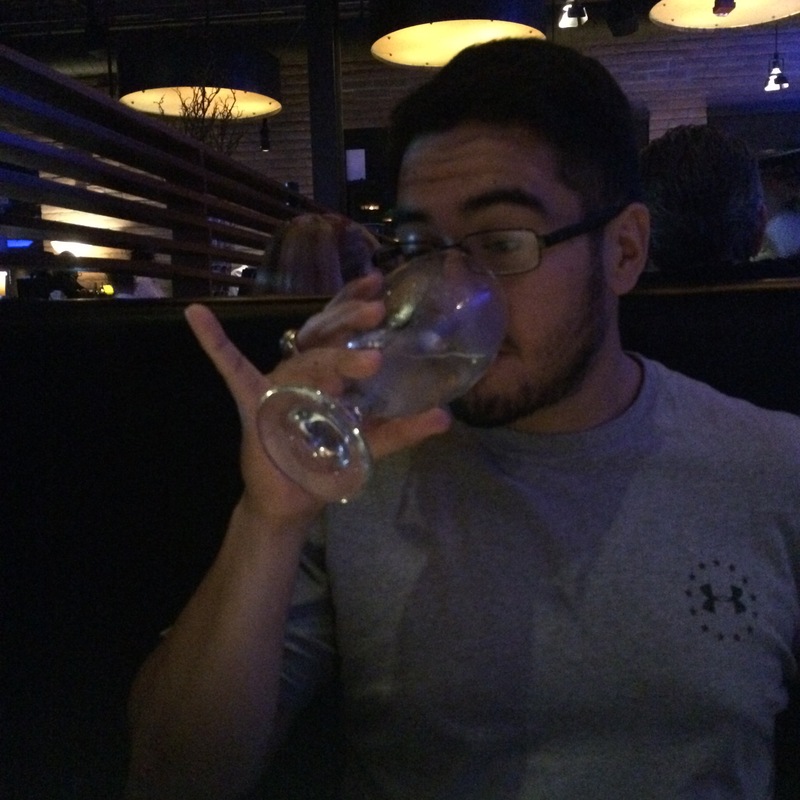 It had a rich flavor and was cheap! I couldn’t find a website or Facebook link, but the contact information is below. 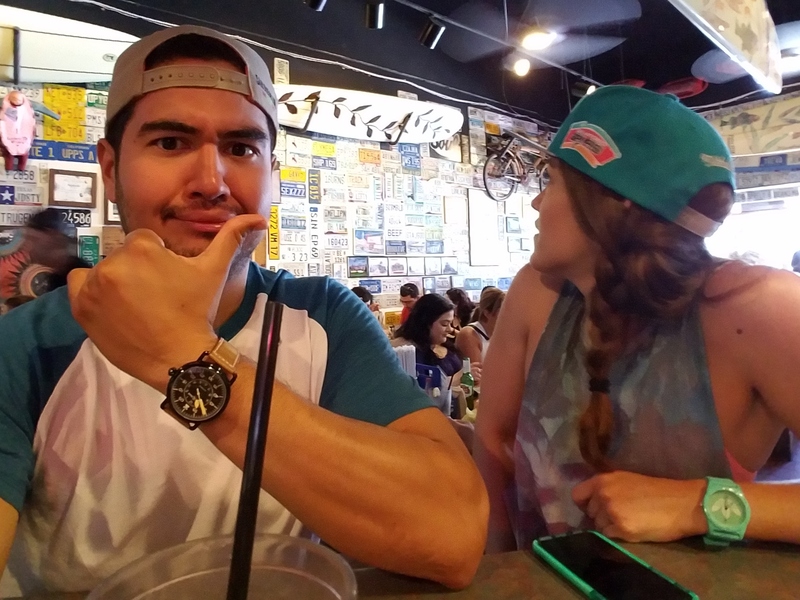 Twiggs Coffeehouse – This was our last stop in San Diego on our way out of town. We needed coffee for the road and while on vacation became obsessed with iced coffee. I felt like everyone was drinking cold brew or iced coffee and stayed away from the hot coffee in San Diego. The coffee was tasty here and the store was inviting, bright and calming inside. 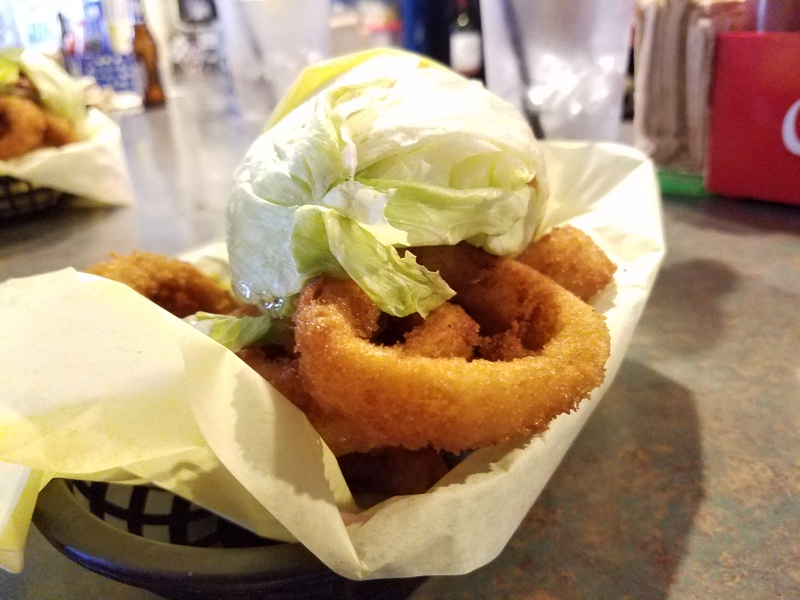 Hodad’s (Ocean Beach location) – All you need to know about Hodad’s is that is possibly ruined many future burgers and onion rings for me. Believe all the hype because people aren’t lying. DELICIOUS and the people who work there are chill and friendly. Plus, they have really cool Hodad’s clothing and such. Don’t go to San Diego without eating here. Thanks for being awesome, Hodad’s!! There were plenty of things on the wall to distract me while anxiously awaiting the food! It was a quick wait thankfully. 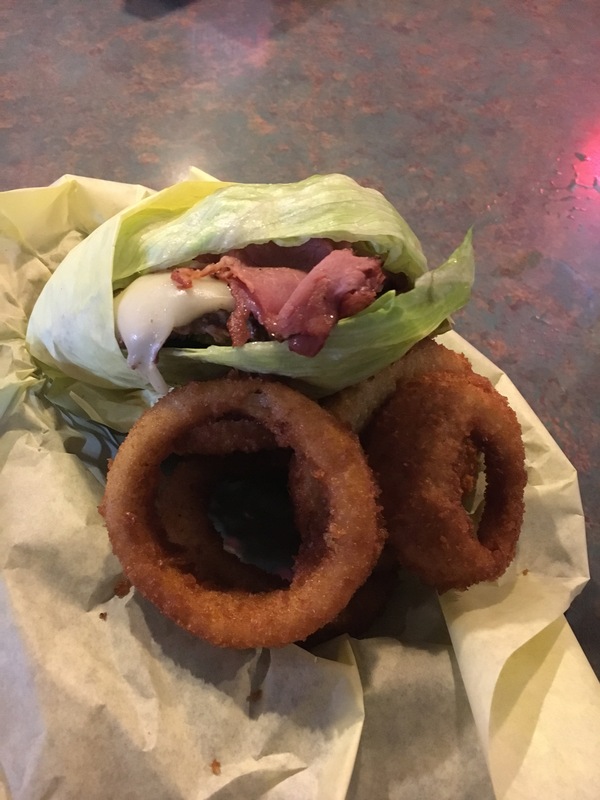 Lettuce wrapped burger and delicious onion rings! Inside the Guido Burger…soooooooo good. 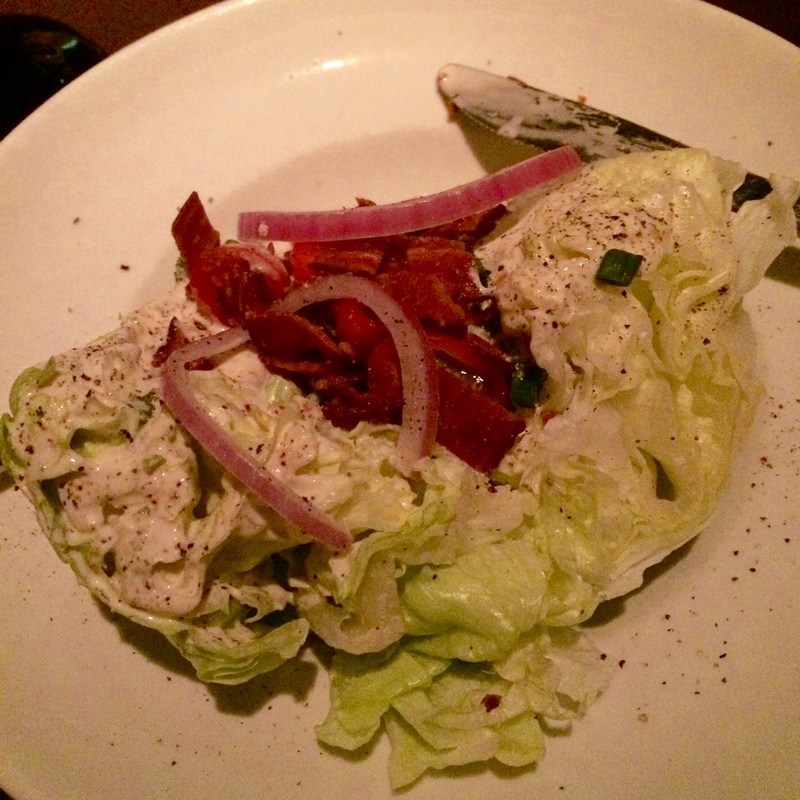 Ralphs (Downtown San Diego) – Yes, we ate at a grocery store while on vacation. We were downtown on Fourth of July and we walked around to multiple restaurants we wanted to try and they were all closed. I still don’t understand why downtown area restaurants would be closed for lunch on such a tourist heavy day, but oh well. I’m not going to lie, I was a bit annoyed we were going to eat here at first, but the salad bar was terrific and very fresh. It also wasn’t nearly as expensive as many other grocery store salad bars. Plus, I had never seen a Ralphs before and it was a pretty nice grocery store (HEB still has my heart though). 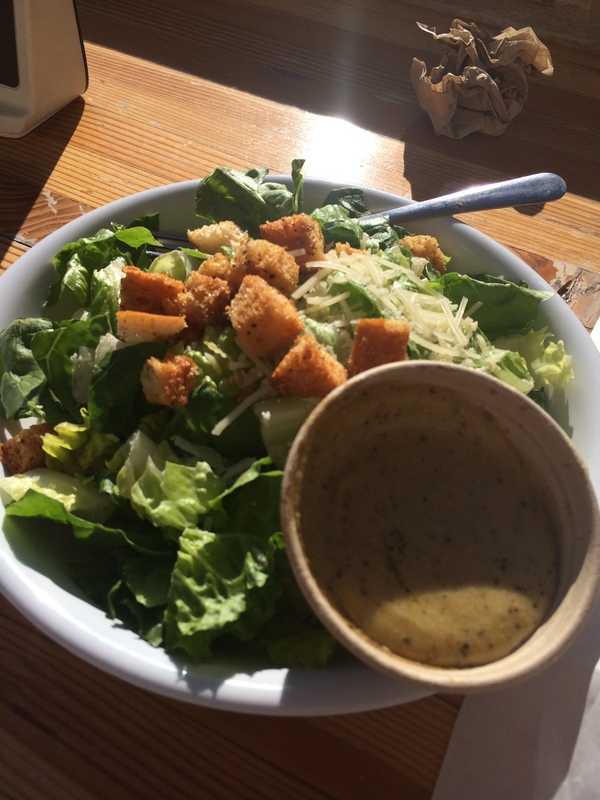 Sabertooth Grill (at the San Diego Zoo) – We weren’t expecting much because food at tourist locations is never outstanding and usually geared towards parents who just need their kids to eat something. We weren’t at the zoo for the food anyway, but it was pretty good! It wasn’t as expensive as I thought it may be, used locally grown ingredients and they sold salads. 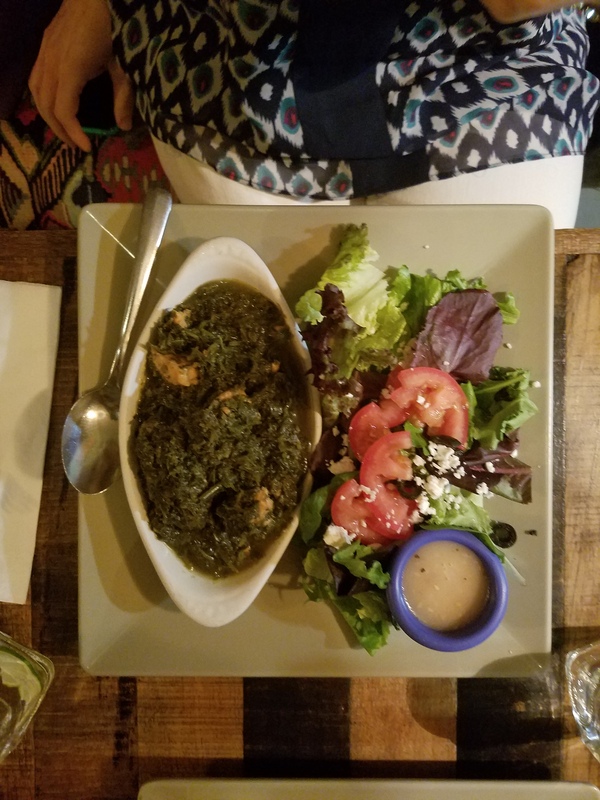 Soltan Banoo – A small, but packed, Persian restaurant in University Heights area that had terrific specials and great service. I don’t think I had tried Persian food before this and I loved it. It was so flavorful. We ate here for dinner on our first night in town and it started our time in San Diego off very well. 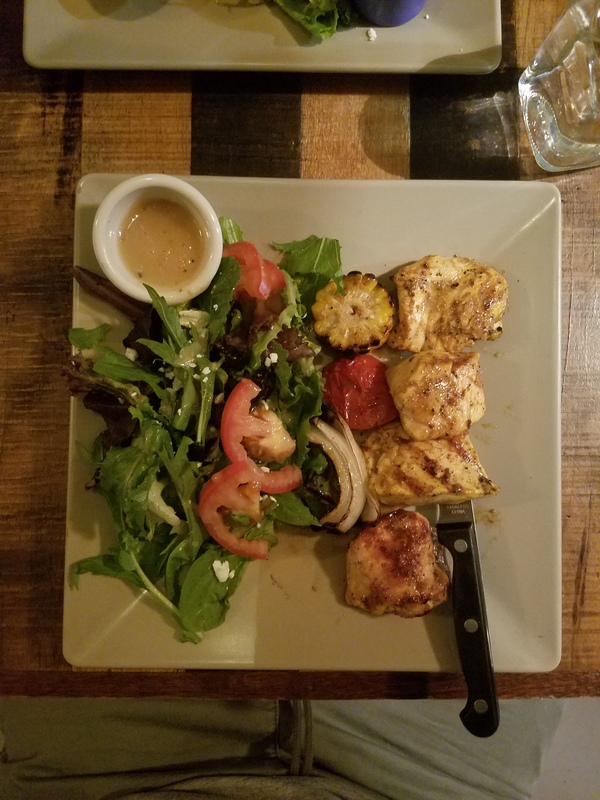 Zach tried the Chicken Kabob plate. They substituted the rice for a pretty salad. I ordered the special of the day, Ghalieh Mahi. It was salmon and parsley and other delicious things. I truly loved it. 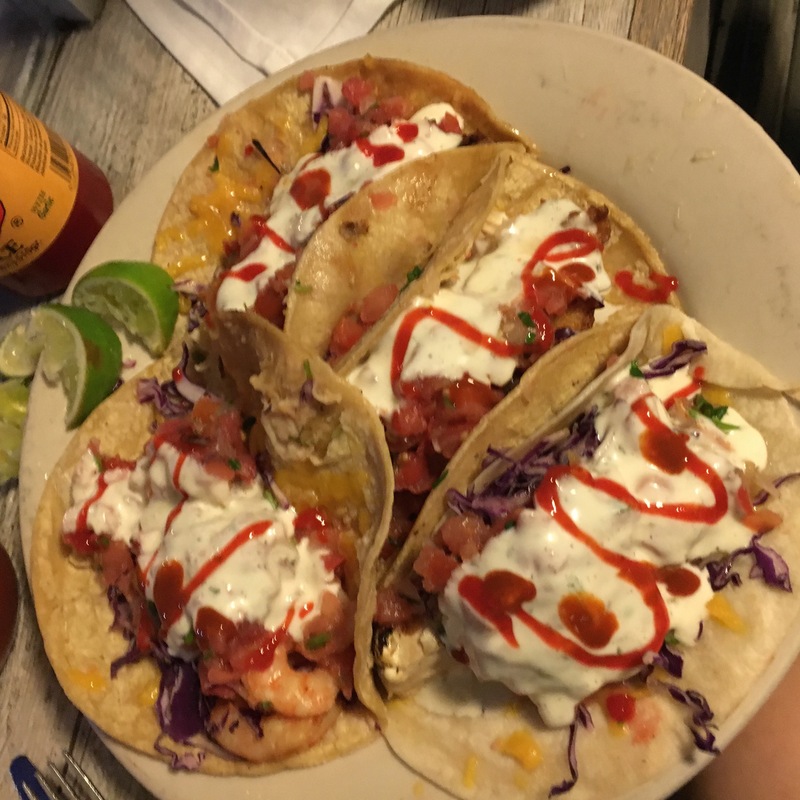 High Tide Bottle Shop & Kitchen – We needed something quick after a day at Coronado Beach, plus we wanted to try a local pizza place while we were in town. 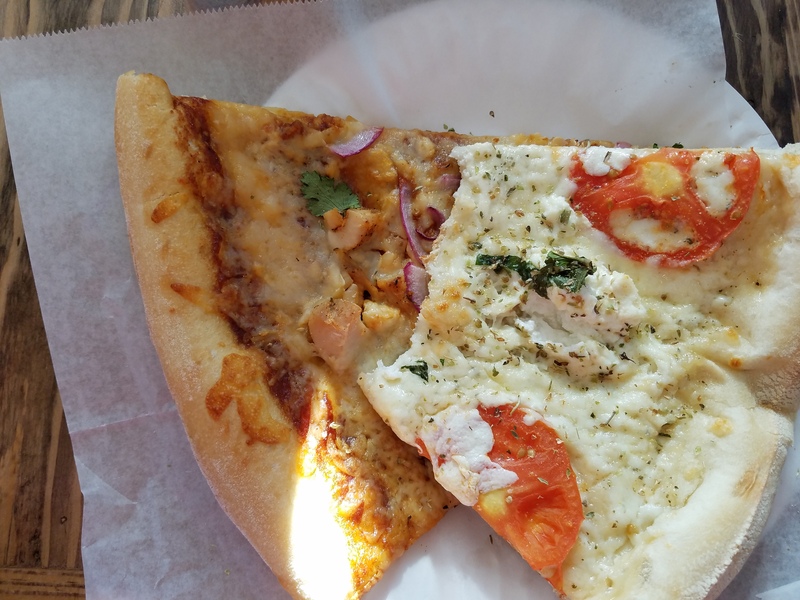 We chose High Tide because they had pizza by the slice, was inexpensive and had good reviews on Yelp. It was a good choice! They had about five pizzas to choose from (although you could order a whole pizza from a list of many more options) and it didn’t taste like it had been sitting all day. Who doesn’t love a big, greasy slice of pizza? It was tasty! Zach tried a slice of the Great White and a slice of the Bonfire BBQ. 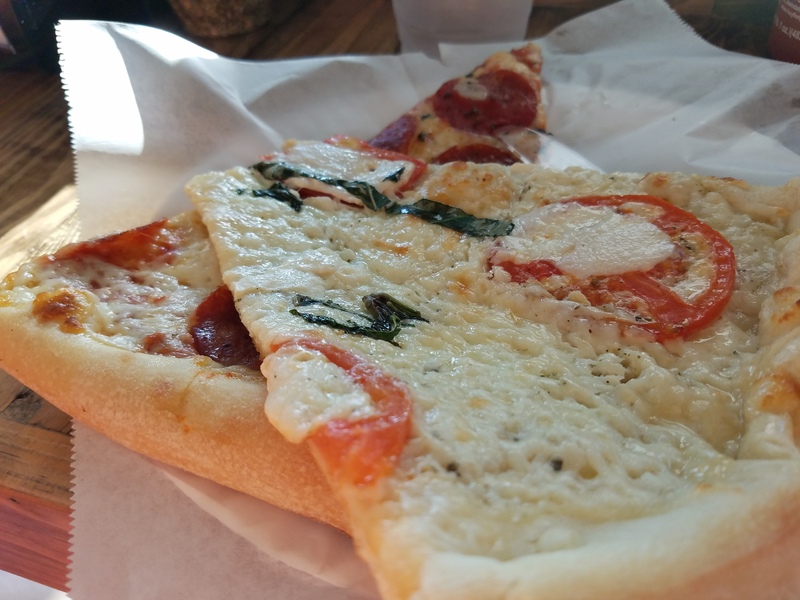 I tried the Great White and a good ol’ Pepperoni slice. Bahn Thai – This was a hipster Thai restaurant that served on paper plates, which I thought was hilarious. It was near our rental and packed every time we drove by. On our last night, we ordered takeout here as our second dinner of the evening (trying to pack in as much as we could)! Zach isn’t the biggest fan of Thai food, but he loved it. 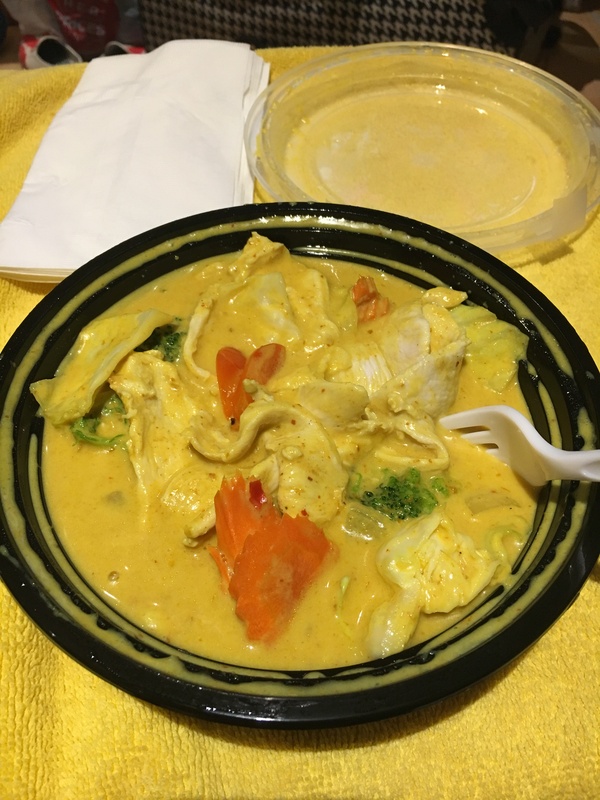 I ordered curry and I always love curry, so I wasn’t disappointed. Curry to go for a late night snack! Greek Island Cafe – This was also a Fourth of July stop. It was mostly chosen because it was right near the pier at Seaport Village we planned on sitting at for the fireworks. It was quick and simple. Fiji Yogurt (Hillcrest location) – We love frozen yogurt and ice cream more than anything. This was a local place and they had no sugar added options (for future reference, you will notice that Zach and I don’t eat added sugar). 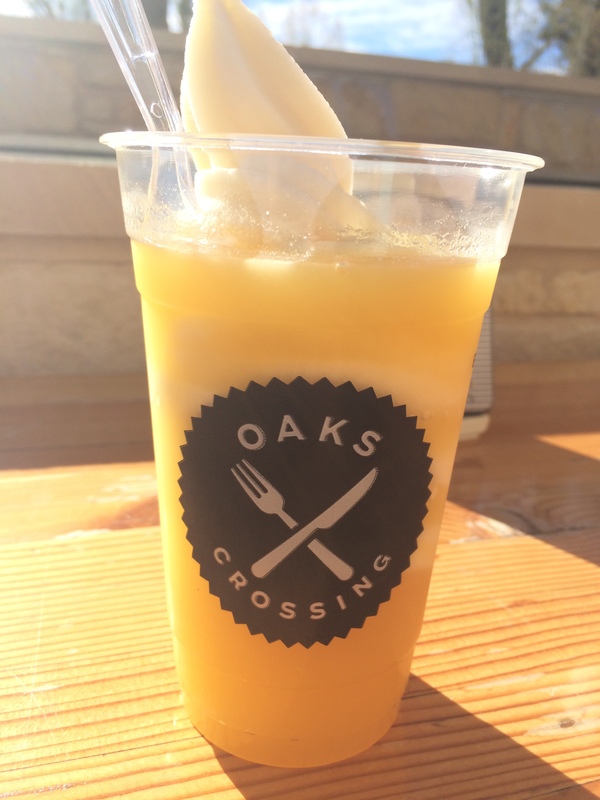 It wasn’t your typical froyo place, mostly because it didn’t look like your typical yogurt place. To me, it was a combination of a living room, art gallery and bright kitchen, that happened to have frozen yogurt machines. I loved that about it. The yogurt was so great that we got a quart to take back to our rental and we finished it before we left San Diego two days later. Lighthouse Ice Cream – They had a line out the door when we first went by one evening, so we went two days later after lunch at Hodad’s. 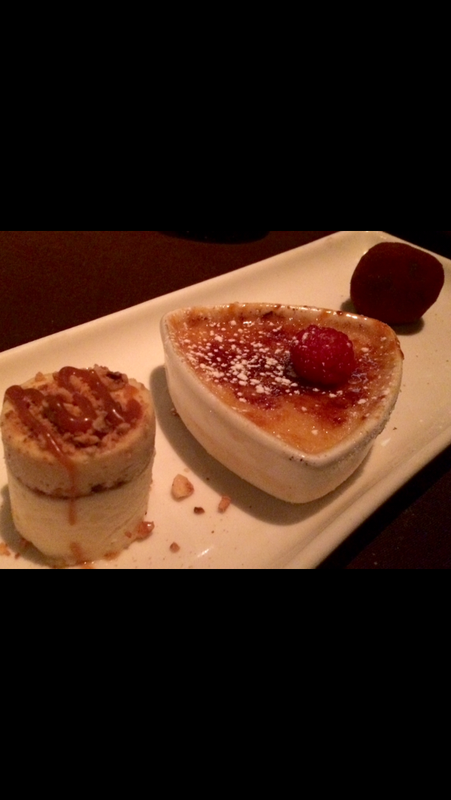 They had two no sugar added options and both were terrific. Ice cream makes me so happy. Menchie’s Frozen Yogurt – Menchie’s is our favorite yogurt chain. If there is a Menchie’s in a city we are visiting, we are going to try it out. It is always good. 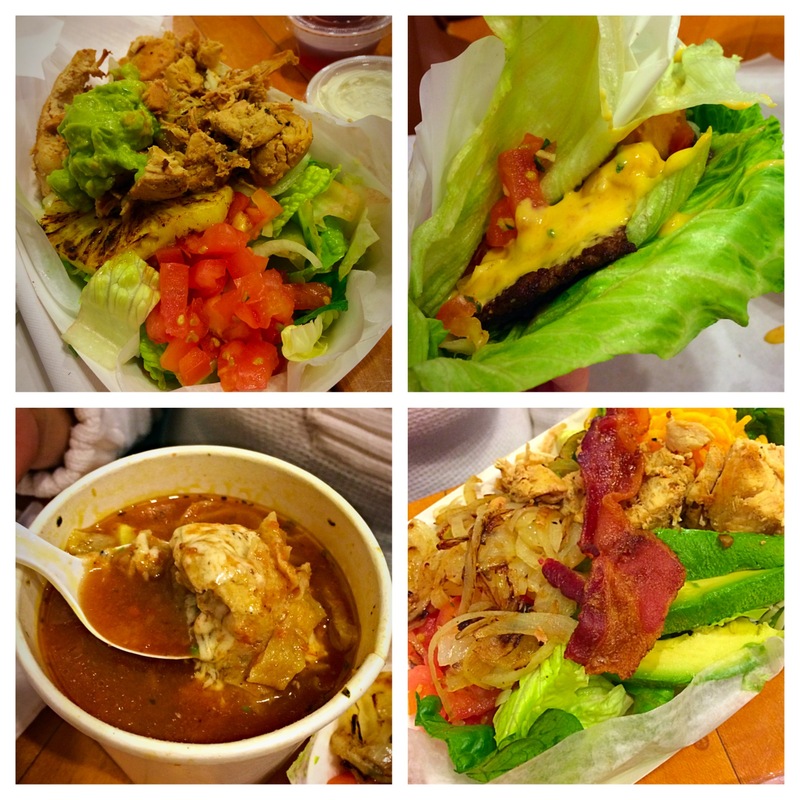 We went to two locations while in San Diego, because we are obsessed. Ghirardelli (Gaslamp Quarter location) – After a long Fourth of July looking for places to eat, we happened to walk by this on our way to the car. We both NEEDED a scoop of vanilla with strawberry topping (well, we probably didn’t need it, but it hit the spot after a long day).